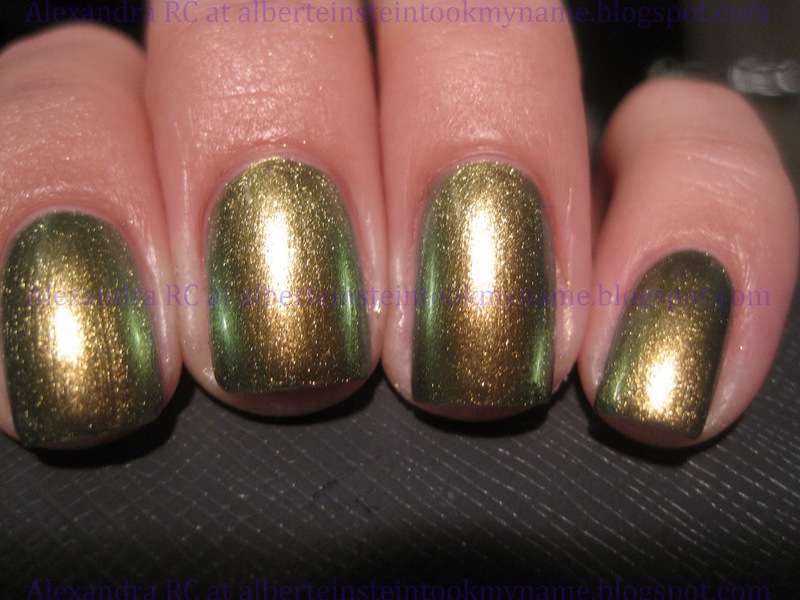 I really like this because it gives us the classic gold with a nice shimmery texture, and the "something new and different" that we want, which is the duo-chrome bold green. This is so beautiful! Now I want it....heading over to Nieman Marcus. Why except on the index finger? This comment has me so curious. 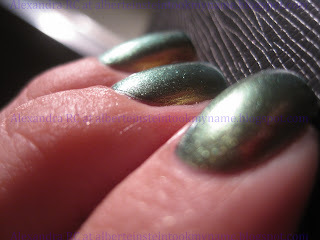 Ha ha sometimes I like to compare to see if the topcoat dulls or enhances the nail polish, in the case of peridot, it really doesn't need top coat. Also, in some cases the top coat can even out the stripes made by the brush.